Prominent & Leading Distributor / Channel Partner from Surat, we offer floor cleaner with neutral ph, floor cleaner, kitchen floor cleaner, sure cure- acrylic urethane sealer and extreme- floor stripper. Our offered Marble Floor Cleaner is an innovative 100% synthetic detergent with a neutral pH of 7 and can be used on the most sensitive flooring. This effortlessly emulsifies and suspend soil from highly polished floor surfaces without attacking the gloss of the floor. 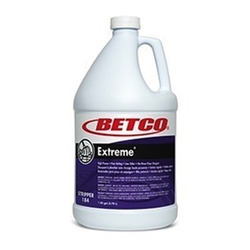 A multi-purpose, germicidal detergent and deodorant that disinfects, cleans and deodorizes in one labor- saving step. 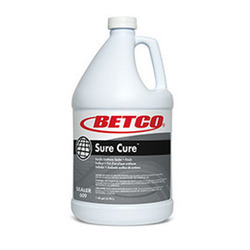 Recommended for use in hospitals, nursing homes, schools/colleges, commercial and industrial institutions. 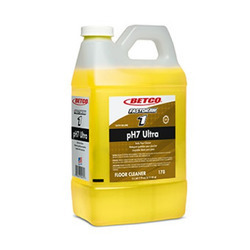 Neutral pH formula is perfect for damp mopping highly polished floors and will never dull, haze or leave a film. 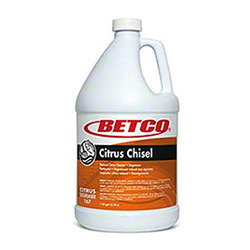 Our offered Kitchen Floor Cleaner is a unique synergistic mixture of natural citrus solvents and the surfactant system. This is highly recommended for cleaning task from factory to kitchen. Furthermore, this instantly deodorizes, cleans imparting a fresh scent of citrus. Our offered Extreme- Floor Stripper is developed to rapidly strip multiple coats of burnished finish from a variety of floors. 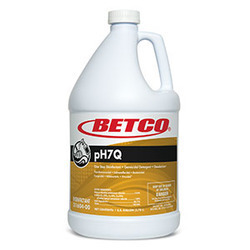 Moreover, this has a lower Ph than competitive formulas, requires no neutralization or rinsing. The chemical bonds of acrylic and urethane fortified floor finishes releasing them from the floor surface.